Where does artist Erin Perry get her inspiration? The inspiration for several of the pieces in my current show “The Pity of War” has come from the heartfelt verses of the WWI poets. Men who saw war from the trenches as it really was. Many never returned and their poems take on an added poignancy. 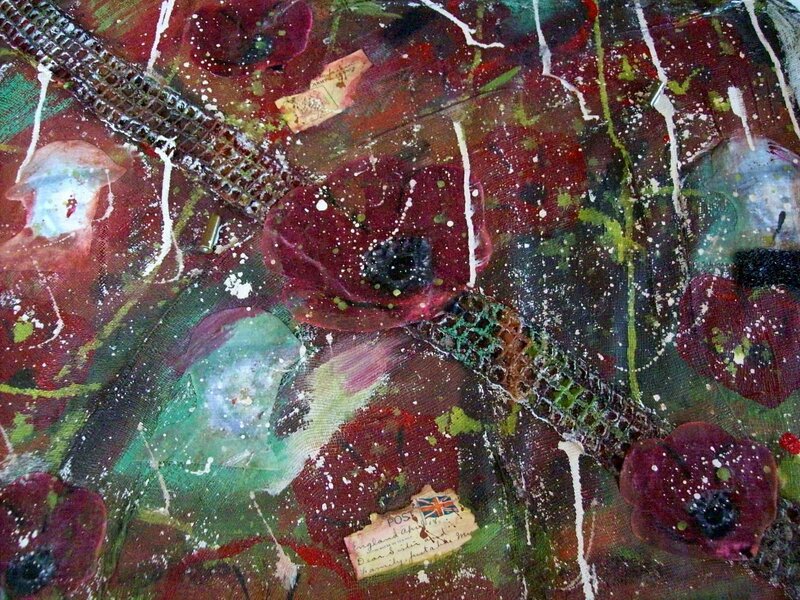 This piece, In Flanders Field, shows the poppies that bloom still on that long ago battlefield and bits of the detritus left when armies collide. The words of the poem by Lt. Col. John McCrae were constantly with me as I worked on the piece, and guided my hands and heart. My favorite tool is my diamond tipped, Liberschnitt circle cutter because it allows me to cut really BIG circles. 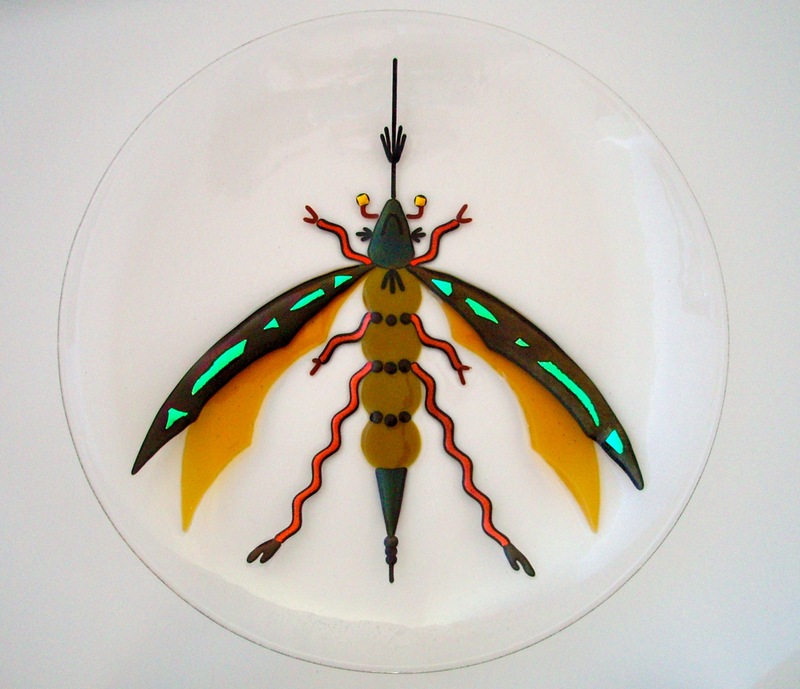 Richard Mortensen is a talented glass fusing artist, to see more of his work please visit his website. In my studio I am not quiet. 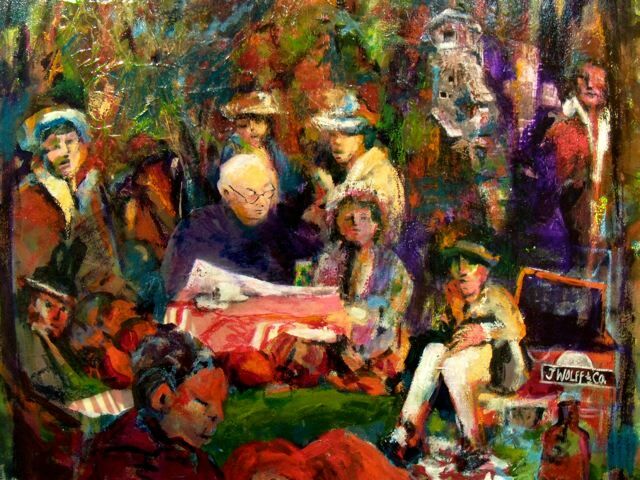 I know many artists like peace and quiet when they work but I like lively music. I often put on musicals and sing along. Hair, Into the Woods, The Phantom of the Opera or Oklahoma are good. If I don’t feel like listening to words, I will put on The Grand Canyon Suite or Opera (not in English). I find it helps me to distract the part of my brain that is non-visual with music. Some of my best works are done when I am teaching a class and telling them what I am doing while I do it. Again that part of my brain is distracted so the creative part can go ahead and do its own thing. 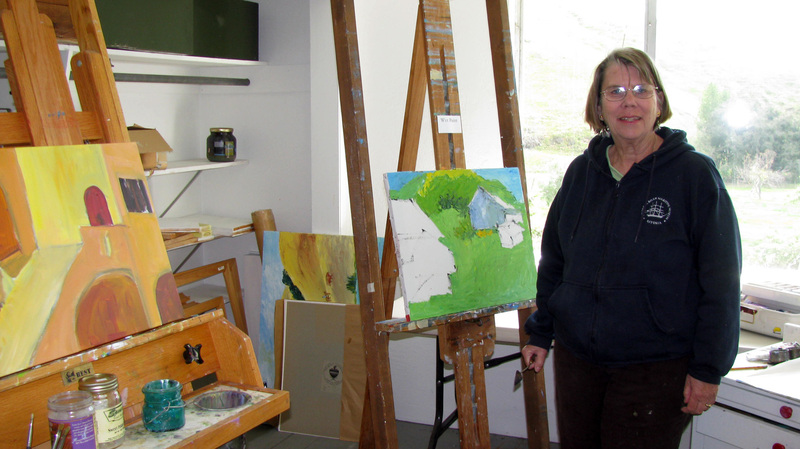 "In my studio I am not quiet"
I am a painter and a drawer – mostly. Lately I’ve been a drawer, sketcher and master doodler. 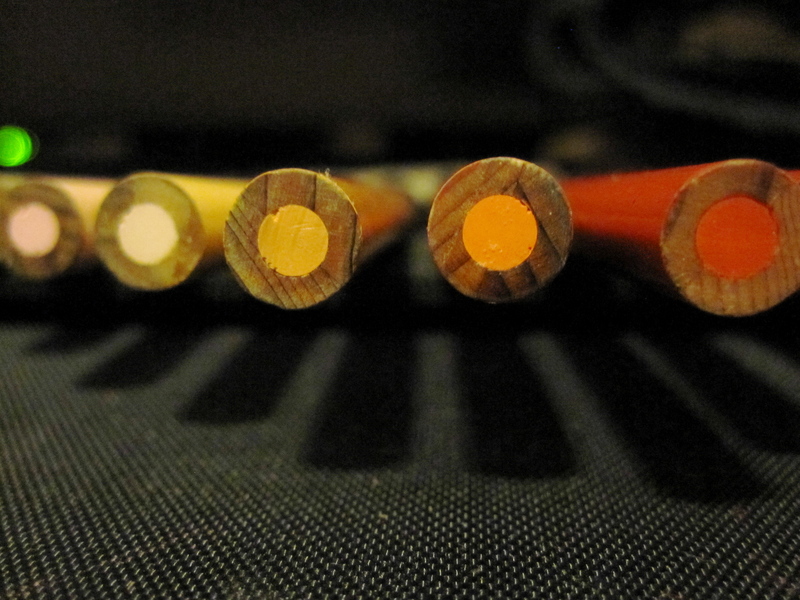 My go-to tool is a white, or light color pencil (depending on the subject and color scheme). I use Prismacolor pencils and their white/light colors make for very useful blending tools. 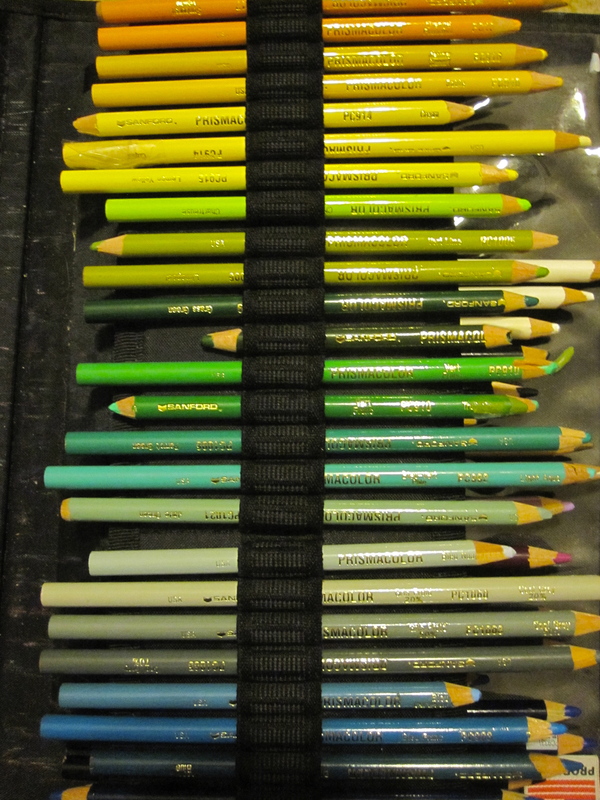 I layer – If my intended color is green, I’ll first lay down a yellow, then cross-hatch it with a blue, adding different shades until I blend with a white colored pencil creating my desired shade of green. The blending gives it a smooth effect – and if smooth is what I’m going for, only those white/light colored pencils do the job! 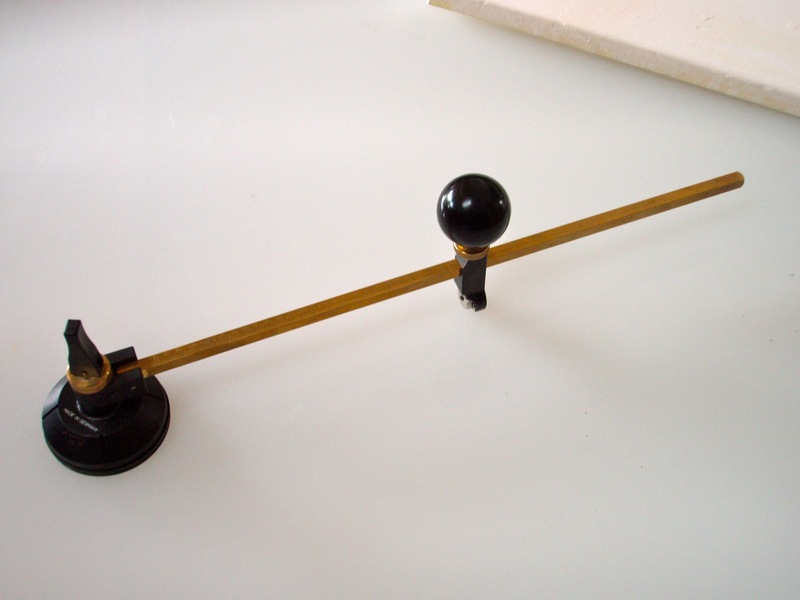 My favorite tool is the one that is doing the job of the moment. Actually, I really like files. 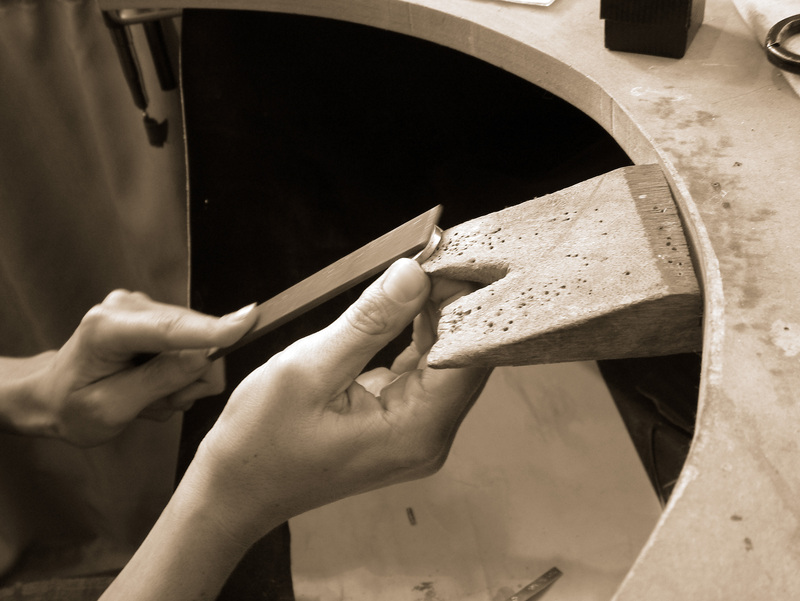 The file on a piece of metal or wood or stone makes it possible to refine the form. Used improperly, it can quickly destroy a shape. I love to make a beautiful curve that both looks and feels good. 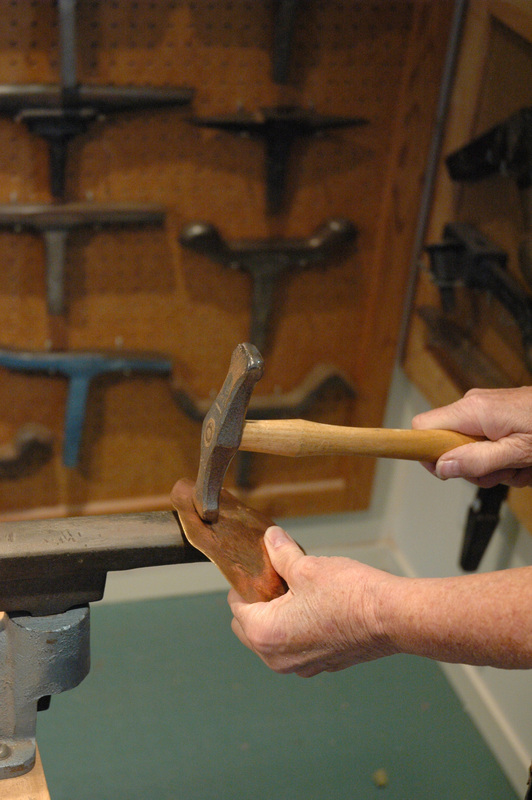 The file readies the surface for sanding to the desired polish. Without the file, the surface is an array of small mountains and valleys…not what you want when the eye says it should be smooth. Natural rough surfaces or ones that I have textured with a tool create good contrast to the well filed and polished ones. In the hours and hours of research I’ve done for the pieces I’m creating for my upcoming show “The Pity of War”, one of the most poignant photographs I’ve come across is the centerpiece of this artwork. Three siblings huddled together, with their evacuation tags around their necks, wait at King’s Cross for a train that will take them from London to Northampton, far from their Mum and Dad and the only home they’ve ever known. Barbara (8), John (7) and Rosemary Dawson (6) didn’t even know their picture had been taken until a few years ago when the British Postal System released a set of stamps honoring “Heroes at Home” of WWII, of Land Girls, the Home Guard and others, including evacuees. When I found the old photo, I knew I would have to feature it in a collage. Those young faces – Barbara holding onto her sibs, being the brave big sister, John looking slightly bemused, and Rosemary studying her tag – brought tears to my eyes and spoke to my heart. 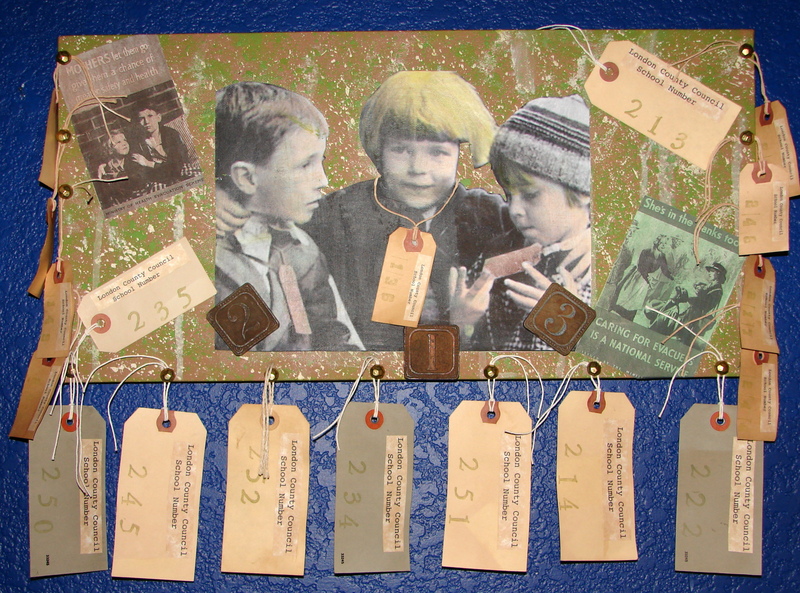 I painted the canvas a toffee brown and then sponged and spattered leaf green and ivory acrylics. The xerox copy of the siblings was lightly coloured with water soluble oil pastels and adhered with matte medium as were the two period posters. 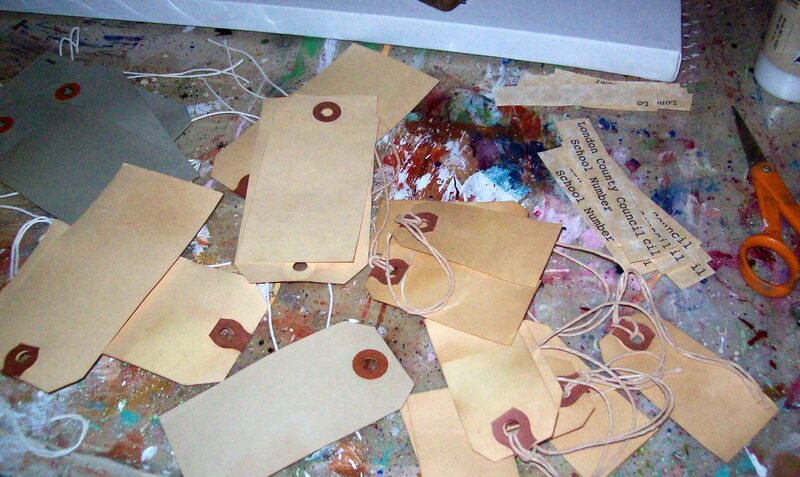 The tags were tea stained and then stamped with numbers and collaged with the “London County Council” 3 were affixed to the canvas, one around Barbara’s neck and the others attached with upholstery tacks to the edges. 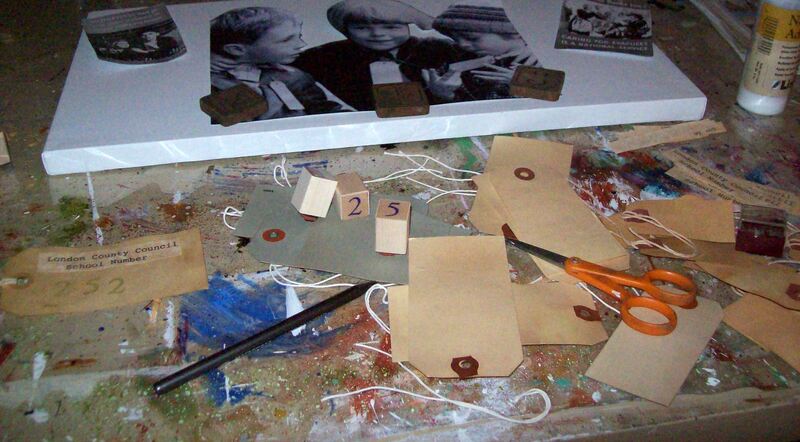 The final touch, vintage wooden number blocks under each child. As a mother I cannot imagine having to send my children away. As a mother I cannot imagine keeping them home, in a war torn city under nightly threat of bombing. Indeed, What Price Safety, What Price Love? View more of Erin’s work on her website.